DJs to perform: Sal Haque aka Skinny Brown with support from Kodama and Aktüman. Enjoy a wicked Good Friday this year as XIA | 下 is very honored to present Sal Haque’s inaugural Sitar & Beats Live Show. Sal’s behind the ever large Popasuda nights, playing a range of global sounds. He's also a trained, classical Indian sitarist, and will be doing a special live raga over Ableton set, starting off slow and slowly building up to a climax of epic proportions. 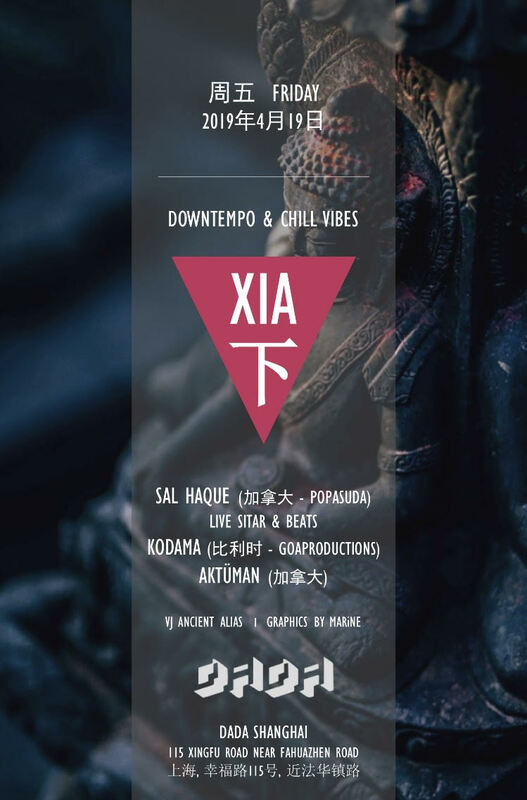 If that wasn’t enough he will also treat clubgoers to a special XIA | 下 DJ set later on in the night. Support from the ever illustrious Kodama (GoaProductions) and Aktüman!